According to the Trust for Public Land's most recent report, some 39,859 acres of New York City land area is dedicated park space — that's an impressive 20.6% of the city. Though well behind many world cities (Singapore, Hong Kong, and Sydney all register above 40%), the figure ranks New York number two on the list of high-density U.S centers, just behind Washington D.C. However, due to our population of 8.6 million residents, the five boroughs rank a paltry #14 when looking at the ratio of parkland to the number of inhabitants. 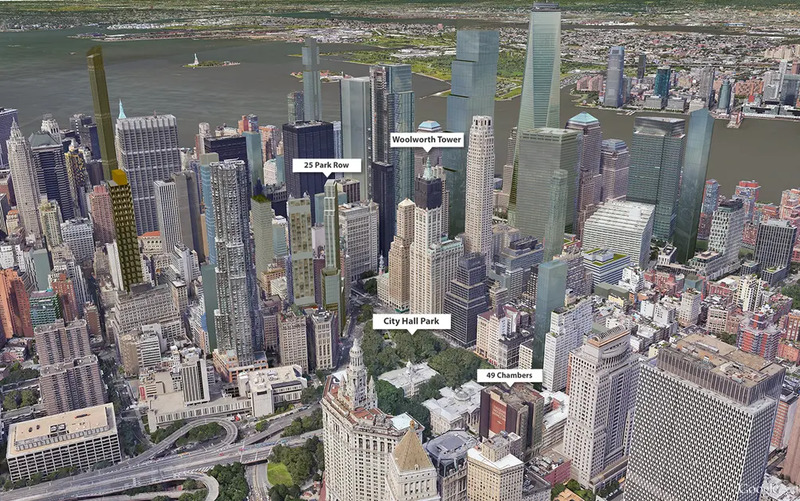 This partly explains why New Yorker's fight tooth and nail for their patches of green, and why the real estate bestriding them come at steep prices. 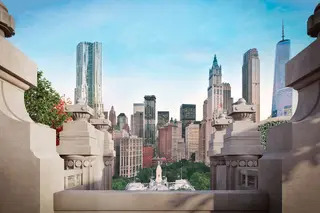 Though Central Park, the cream of the crop of landscape architecture, garners the most attention and biggest deals, for those seeking green farther beyond its 848 acres, there are 1,700 parks, playgrounds, and recreation facilities across the city to relax your senses. 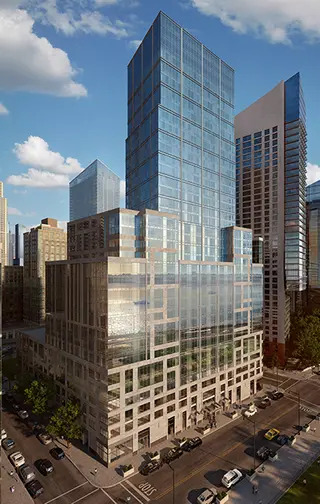 As home values around Central Park escalate into the stratosphere, we turn our attention to other bucolic spaces that are getting a new share of high-end condo developments. 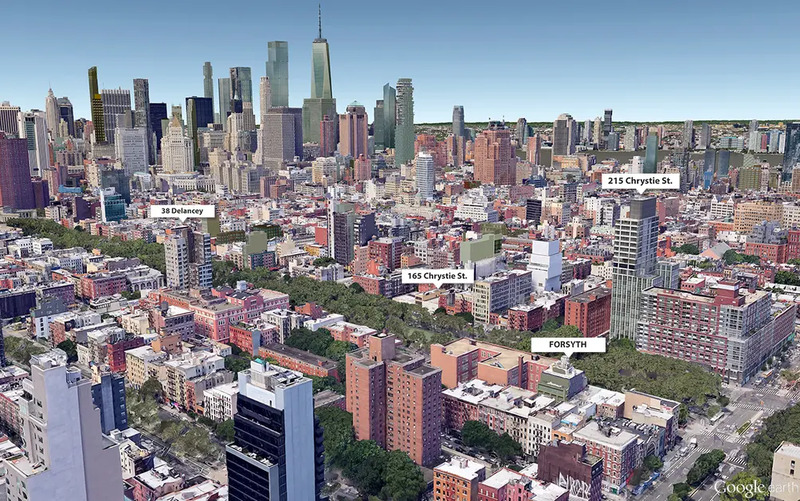 Like the properties encircling Central Park, these spreads with eternal views will likely prove as worthy investments as the city grows denser and open land becomes more scarce. Playing a key role in New York civic life for centuries, City Hall Park is an eight-acre respite home to the seat of city government in addition to more than a dozen monuments. Following a $34.6 million upgrade undertaken by Mayor Rudolph W. Giuliani in 1999, where he touted the renovation as “a final gift from the 20th century to New Yorkers of the 21st,” the residential population of the Financial District surged from 23,000 recorded in the 2000 Census to 61,000 residents in 2018. Some of its majestic commercial buildings ringing the park, such as the Morse Building, Emigrant Industrial Savings Bank Building, and Park Row Tower have been converted to apartments and more recently, a new crop of towers has joined these cherished gems. With front-and-center views of City Hall Park, 49 Chambers is a 99-unit condo conversion of the 1912 Emigrant Industrial Savings Bank. Designed by Raymond F. Almirall in the Beaux-Arts style, the 15-floor structure has an elaborate limestone facade, sumptuous bay windows, and a beautiful roofline. The nearly-finished condos inside were refined by Gabellini Sheppard Associates have large kitchen island wrapped in honed San Marino marble, cypress cabinetry, and Corian sinks and master bathrooms have bathtubs of honed Ariel white marble with Apaiser stone double vanities and radiant heated floors. Common amenities include 24-hour concierge service, a landscaped rooftop park framed with limestone balustrades, an outdoor kitchen and dining area, a children’s playroom, yoga/dance studio, virtual golf room, screening room, double-height residents’ lounge, a Hamman and spa, fitness center, steam room, pool, storage and bicycle storage. 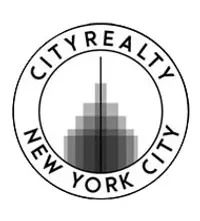 Current listings show one-bedrooms start at $1.65M, two-bedrooms from $2.725M, three-bedrooms from $4.025M. Stretching 1.3 miles around the Brooklyn Heights/DUMBO waterfront, Brooklyn Bridge Park offers panoramic views of Manhattan, the Statue of Liberty and the New York harbor. Designed by Michael Van Valkenburgh Associates, the park features a continuous promenade of six diversly-programmed piers. The abundance of activities and facilities offered include barbecuing areas, bocce courts, soccer fields, basketball courts, kayaking, volleyball courts, passive lawns and much more. The park is unique to the city in that it is required to be economically self-sufficient. The Brooklyn Bridge Park Conservancy raises funds from commercial and residential development within its grounds. 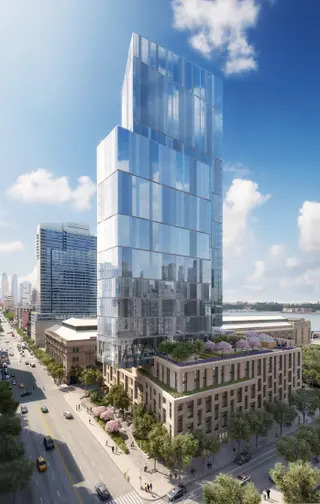 Three record-breaking condos, One Brooklyn Bridge Park, 1 John Street and Pierhouse are already finished and contribute to the park's upkeep. To come online early next year is Quay Tower, a 126-unit condominium designed by ODA New York. Originally built as a warehouse in 1920, One Brooklyn Bridge Park at 360 Furman Street is condominium conversion finished in 2008. Its nearly 450 residences, which range from studios to three bedrooms, have kitchens with Bosch ovens and Sub-Zero refrigerators. Bathrooms feature Porcher double vanities and standalone tubs. Now available, at the lowest price per square foot in the building with park views, is Loft #536. The two-bedroom, two-bath covers 1,433 square feet and has 13-foot-high ceilings and oversized factory-style windows. The home also comes with a 32-square-foot deeded storage space located on the same floor. Amenities in the building include a fitness center, Peloton bike room, three satellite cardio rooms, a billiards room, children's playroom, art room, movie screening room, music room with baby grand piano, two video game lounges, yoga room, dance studio, virtual golf simulator, video game lounge, two conference rooms and two landscaped courtyards. There is on-site dry cleaning/laundry service, cold storage, bicycle storage, and an on-site parking garage for 500 cars. Riverside Park South, the link between Hudson River Park and Riverside Park, is a stretch of waterfront recreational space and native ecosystems between West 59th and 71st Street. 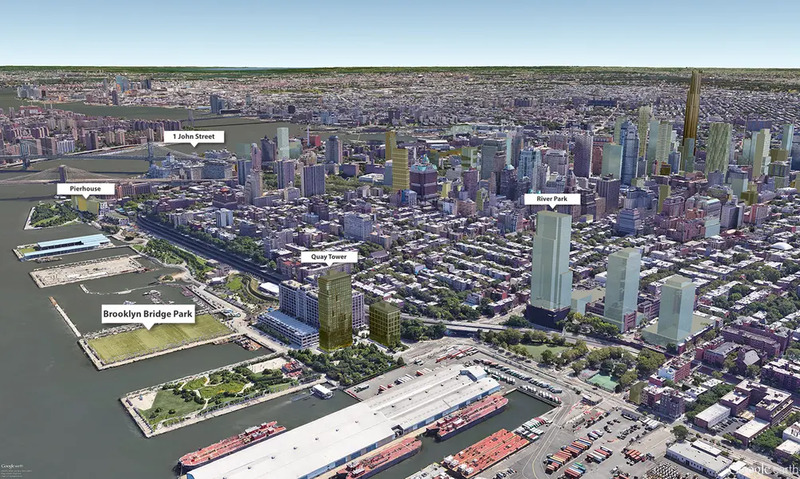 The 32-acre park, designed by Thomas Balsley & Associates, partly replaces the New York Central Railroad’s 60th Street railyard and fronts the Trump Place/Riverside South and Waterline Square master plans. Still in progress, with phases V and VI expected to finish next year, the park pays homage to the site's industrial history with a stationed locomotive engine, preserved pier pylons, and a rusting gantry. 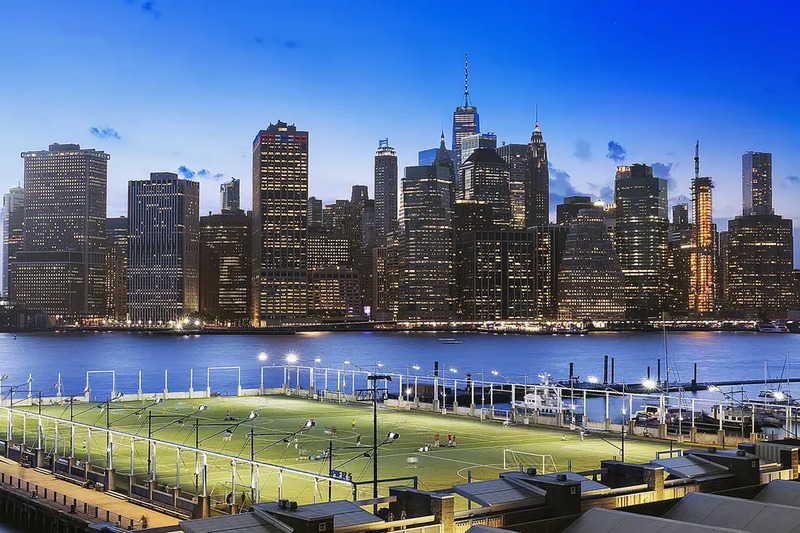 Other features include the 900-foot-long Pier I with its namesake cafe at its foot, basketballs and handball courts, volleyball courts (in-construction), baseball/soccer fields, a dog run, and a playground. Additionally, the park is part of the Manhattan Waterfront Greenway which is the most heavily used bikeway in the United States. Just inland at its southern end, a three-tower condo development called Waterline Square will feature a public three-acre park designed by Mathews Nielsen Landscape Architects . Still in-construction, the oasis will have cascading water features, a great lawn, a flowering meadow, and a fully-equipped children’s playground. 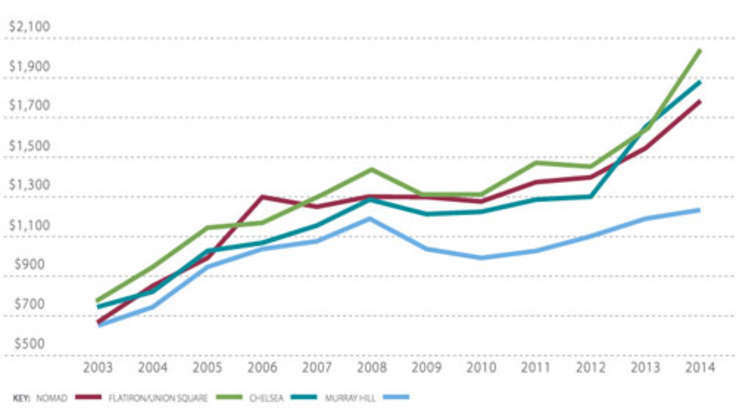 Collectively, Waterline Square is the largest residential offering to come to the Upper West Side in recent years. Comprised of a mix of condos and rentals in three distinctive buildings, the for-sale homes are all perched at or above the 20th floor and come in one- to five-bedroom layouts. 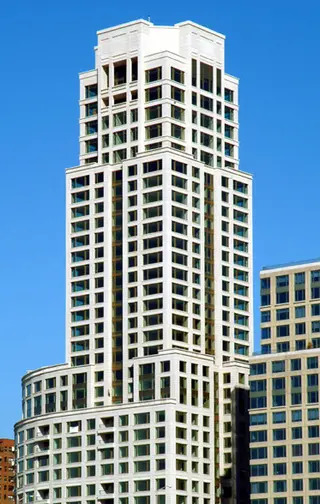 Each tower, One Waterline, Two Waterline, and Three Waterline Square is designed by its own architect and interior designer that offer their individual takes of luxurious city living. All homes will be finished in a rich selection of hand-picked materials and feature custom kitchens, marble baths, over-sized windows, and breathtaking views. Currently available one-bedrooms start at $1.825M, two-bedrooms from $3M, three-bedrooms from $4.57M, and four-bedrooms from $7.18M. The development team says Waterline Square will have more amenities than any other project in the city. Encompassing roughly 100,000 square feet of space, bells and whistles include an indoor tennis court, two swimming pools, a soccer field, skate park, art studios and more. There will also be a first-ever Cipriani-run food hall. A dedication ceremony for Sara D. Roosevelt Park was held on September 14, 1934, where Harry H. Schlacht, the founder of East Side Home News announced that this day was to be the day of “the birth of the new Lower East Side.” The park sits on land acquired by the city in 1929 and original plans were to widen Chrystie and Forsyth streets, and to also construct new low-cost housing in between. The latter plans were set aside for a new park and when it opened, it had seven distinct play areas (some separate for boys and girls), two wading pools and a roller skating rink. The park is named for Sara Delano Roosevelt (1854-1941), the mother of President Franklin Delano Roosevelt (1882-1945), who was known for her philanthropic work. At the dedication ceremony, performances and a cannon solute paid tribute to the patriotism and ethnic diversity of the largely immigrant neighborhood. In 1996, a $2.7 million capital project raised a portion of the previously sunken park to street level and added a new playground, basketball courts, and sidewalks. FORSYTH at 204 Forsyth Street is a boutique condominium comprised of 11 residences refined with timeless design and thoughtful details by Paris Forino Interior Design. The homes range from two-bedroom half floor residences to a full-floor penthouse featuring a private roof deck of over 2,000 square feet. 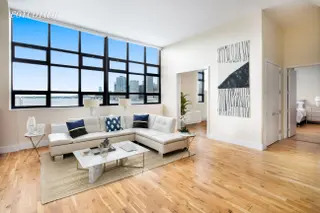 The building's only available apartment is residence 2N, a 1,418 SF two bedroom/two bath apartment with approximately 10’ ceilings, rift white oak floors and custom-crafted floor-to-ceiling metal-framed Belgian windows. Amenities in the pet-friendly building include a 24-hour doorman, fitness center, and private storage.